Egg carton making machine is developed with the needs of high-end protective packages. Beston Machinery designs egg carton machine for sale with various specifications. In addition to egg box making machine for sale, we also have a variety of pulp molding equipment for shoe trays, seedling trays, fruit trays, etc. On the basis of our sophisticated design and durable texture, we believe we can meet all your requirements. Welcome to contact us! With years of experience, we have well-developed egg box making machines for sale. 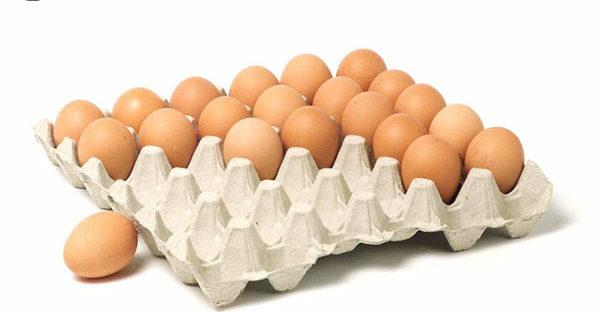 Moreover, the quality of egg cartons can fully meet the needs of domestic and overseas customers. That’s why Beston has obtained much praise from customers around the world. But we never stop our research for the purpose of being a model for the pulp molding machine manufacturers in China. Here are the main parameters for your reference. Easy and safe operation and maintenance. High output and high return. Good stability and long service life. We have developed a series of high-quality pulp molding equipment on the basis of egg tray making machine. Similarly, we can adjust the specifications of egg box making machine as required. The output ranges from 1000 to 6000 pieces per hour, which also greatly affects the egg carton making machine price. However, our company aims to maximize the return on investment. You can get the best egg carton machine price from us. More importantly, we make the molding dies demountable to largely reduce the investment costs. In other words, you can manufacture more than one kinds of pulp molding products at the cost of an egg carton making machine. Combining with the costs of raw materials, workers, energy, the price of a paper egg carton making machine from Beston Machinery is more acceptable. Just tell us what you want, we will give you the best solution according to your space, labor force, fuels, etc. Beston will never let you down. Based on the knowledge of paper egg tray making machine, the manufacturing process of egg cartons is simple to understand and operate. Generally, they share the same basic procedure and most equipment. Here are the similarities between egg tray making machine and egg carton making machine. 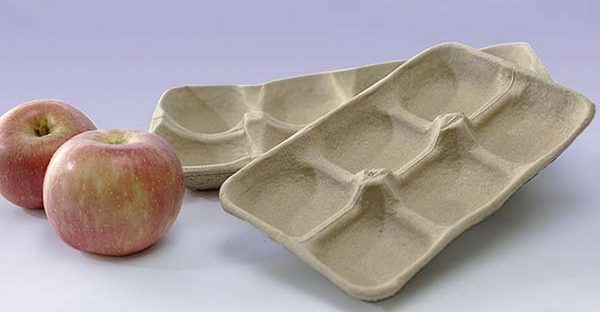 In an egg carton manufacturing process, we turn waste paper into pulp molded products through pulping, molding, drying and packing. By means of hydraulic pulper and pulp refiner, raw materials become paper pulp for molding. Then the prepared pulp is pressed and formed in pulp molding equipment with the help of air compressor. Through the vacuum pump and transfer mold, we remove the wet products out of forming mold easily. This working process ends with drying and packing. Here is a video of the egg carton making process. The main machines include hydraulic pulper, pulp refiner, paper pulp moulding machine, air compressor, vacuum pump, drying, and packing equipment. They are necessary for egg carton manufacturing machine as well. All equipment from our company is under warranty for a period of 1 year from the date of purchase. 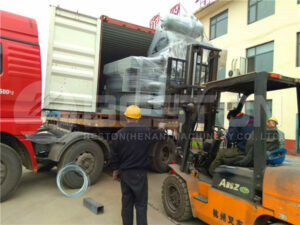 Besides, you will get the best egg carton machine price from Beston. Both the egg tray and egg carton share the semblable working process. As for an egg carton making machine, it is also easy to operate and maintain. The similarities make it possible to produce various products, including egg trays, egg boxes, fruit trays, shoe trays with the same pulp molding production line. With a similar working process and equipment, why can we make different products? Here are some influencing factors. This is the most important difference. It matters the end products of a production line. For instance, we have seedling tray manufacturing machine, apple tray making machine, etc. There are different demands on their appearance and stiffness of end products on different occasions. Thus, the pulp for making egg tray and egg carton is a little bit different. We commonly employ a hot press to reshape the product before stacking up. The main difference between making egg trays and egg cartons lies in the pulp molding equipment. To be more exact, the design of molding dies determines the shape of pulp molded products. In comparison, the design of egg carton mold is more exquisite and difficult because of the higher since the quality standard. There is no doubt that design is the focus of all egg carton machine manufacturers. There are many influencing factors on the quality of an egg carton making machine. When we design an egg tray mold, we should make sure the size of groove fit the size of eggs exactly. While an egg carton is made up of a lid and a grooving surface. It suggests that we should take the size, thickness, the edges, and the jointed parts into account when design an egg carton mold. In addition, the lid is expected to perfectly fit with the bottom. Although the design of egg carton making machine is complex, it doesn’t require more workers for molding system. Thanks to our excellent designers and skilled technicians, we have successfully resolved these key problems. And we have already developed a complete and automatic egg tray production line, which is highly praised by our clients all over the world. In order to make our pulp molding products more dense and smoother, we often use a hot press machine improve the strength and toughness. It is more necessary for a paper egg carton machine. The temperature of a hot press can reach up to 200 degrees. Under the high heat, the surface and edge are pressed and trimmed smoothly. Meanwhile, it can greatly lessen the scraps of paper so that the pulp products are suitable for protecting electronic products. Thus, we commend a hot press machine for other pulp molding production line as well. The egg carton manufacturing process is simple. In the working process, most parts are controlled and performed by machine. Thus, it is easy and safe to operate and maintain an egg carton making machine. Besides, our engineers will design and install on site. We can also provide professional training and inspection. Beston Machinery is your best option for an egg tray machine.